Choose your favorite fabric and make this teeny tiny "Bitsy Box." It measures approximately 2 1/2" square! 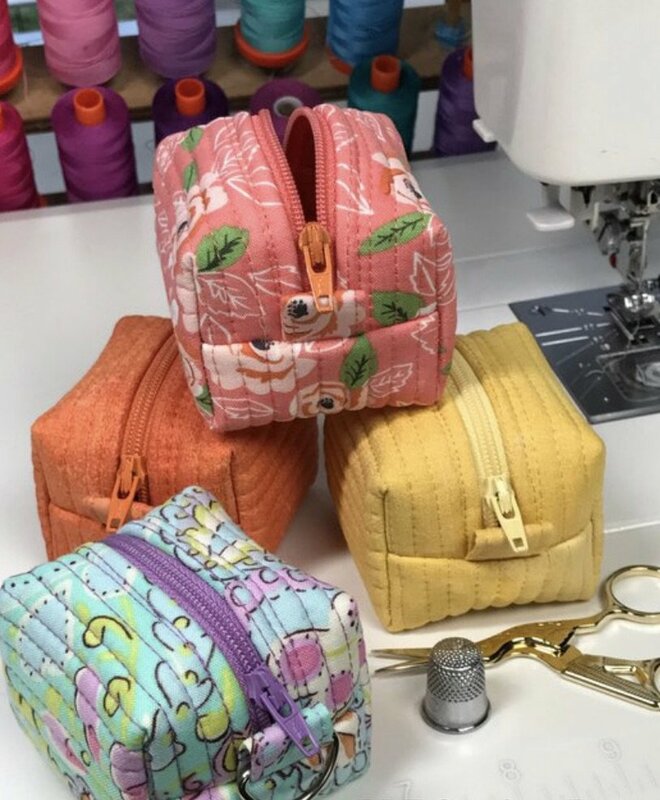 What a great little pouch for sewing notions, knitting notions, baby binky's, kids toys etc.! It is so functional, cute & itty bitty, that you'll have to make one for everyone!